Singer-songwriter and author Elisa Korenne writes intimately introspective songs and prose about her pathways, and the pathways of fringe figures in history. What binds these disparate life journeys is a profound and poetic sensitivity for the human condition. “My work is about cultivating empathy and opening minds and hearts,” Elisa says. 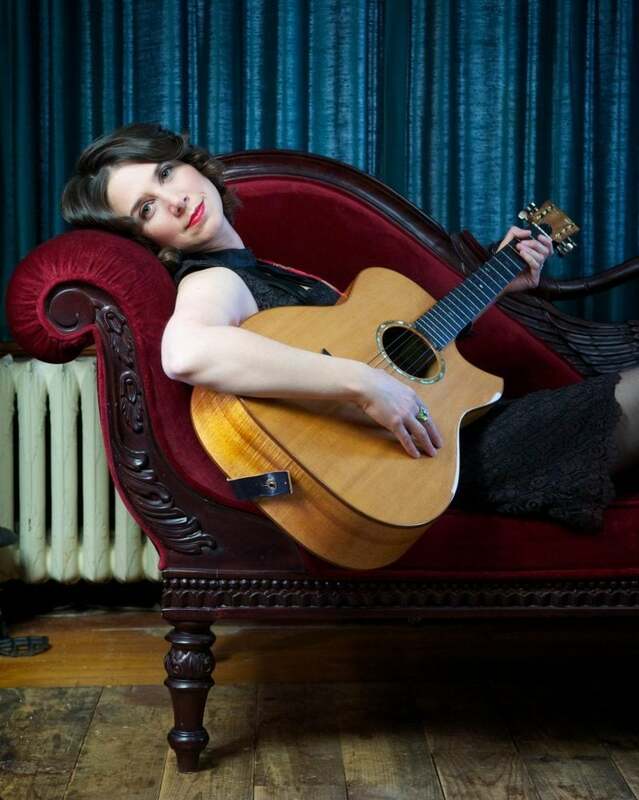 Elisa’s sophisticated accessibility has garnered her favorable comparisons to Liz Phair, Sarah McLachlan, Suzanne Vega, Sheryl Crow, Melissa Etheridge, and Aimee Mann. She’s performed both nationally and internationally, an overseas highlight being headlining the Nevers-a-Vif music festival in France. Her live resume includes a variety of performing contexts, from exquisite singer-songwriter establishments to theatrical venues where she performs story-and-song concerts based on her oddball character-study compositions. The Yale graduate started her professional life in the field of international development. She began her music career in 2001 after leaving her role as co-founder and Program Director at Geekcorps, an alternative Peacecorps for technology professionals to build businesses in the developing world. Now following a creative path, Elisa continues to collect awards and support for her songs and prose. TEDx Gull Lake chose her to share her original ideas as both a performer and speaker at their April 2017 conference. Prairie Public Television in Fargo, North Dakota commissioned her to create songs and appear in a series of ten mini-music documentaries of unusual people and events in the Upper Midwest. The Minnesota State Arts Board honored her in 2013 with their highest individual award. The Minnesota Sesquicentennial Commission commissioned her to create song portraits of Minnesotans for Minnesota’s 150th Anniversary. Songwriting accolades have come from the Plowshares Songwriting Contest, Sisters Folk Festival, Great American Song Contest, Song of the Year, Song Prize, and the Philadelphia Songwriters’ Project. Elisa’s songs have graced networks such as HBO, VH1, and ABC. The preeminent independent music retailer CD Baby hails Elisa as “one of the best we’ve ever heard,” and Singer & Musician magazine says she “belongs on anyone’s must-play list.” Elisa’s prose has been featured in literary journals, newspapers, and magazines, and she has been recognized for her writing by the Mystery Writers of America. In addition to these accolades, Elisa has received artistic fellowships from The Jerome Foundation, the Ucross Foundation, the Hedgebrook Foundation, Isle Royale National Park, and the Brush Creek Ranch Foundation.